Earlier in the week, the news made the rounds of the imminent renaming of one of Johannesburg’s busiest roads, William Nicol Dr, after Winnie Madikizela-Mandela. This resuscitated public debate about the Mother of The Nation’s legacy and the re-branding of Cape Town International Airport into her name - an idea that appears popular to the public. It is a well-known jibe in student political circles, particularly in your more Black Consciousness/Pan Africanist(BCPA)-leaning enclosures, that the ANC’s impoverished grasp of decolonisation means that their gestures in the name of this all-important process hardly go beyond erecting statues or renaming monuments and landmarks - and even this they implement rather insufficiently. This sentiment, at a closer look, seems to reverberate well beyond academic spaces, which would explain the spark of a national dialogue when ANC seemingly rejected EFF’s suggestion for the Cape Town International to be renamed after Winnie Madikizela-Mandela. The ANC’s attitude towards the Airport renaming is even more shocking when considering that the symbolic meaning of this process is two-fold; it also challenges patriarchal narratives that seek to erase the contributions made by women, especially in the political arena and its history. Among the number of things that the democratic dispensation did not bother to change from Apartheid rule was the patriarchal feature of their oppressive system. This has continued to ferment in ugly ways in recent years, with toxic masculinity pointed to as a component feature of gender-based violence incidents. The failure to implement a decolonial education which would treat colonial ideologies and cultures at the behest of indigenous knowledge systems would have given post-94 generations a better chance – and it would improve as time progressed. Moreover, there is another element which we must look at and that is how the role of the “inciles”, those who stayed in the country to wage a war to make the townships ungovernable, have had their role largely ignored or uncelebrated. ANC’s rejection of the Winnie Madikizela-Mandela airport not only speaks to toxic, particularly that still permeates the ANC but also that those who hailed from exile and Robben island will continue to their contribution scaled more worthy of accolades even though the people were the one who faced the brutality of the apartheid regime head on! We therefore must ask ourselves, what would have been the value of naming the airport after Mama Mandela, as a broader recognition and celebration of the inciles, after all she was mother of the nation not by being married to Madiba but by holding the hands of her people and facing the danger of white minority rule? Winnie Madikizela-Mandela was a loyal member of the ANC, even though undeservedly harsh treatment from the party. 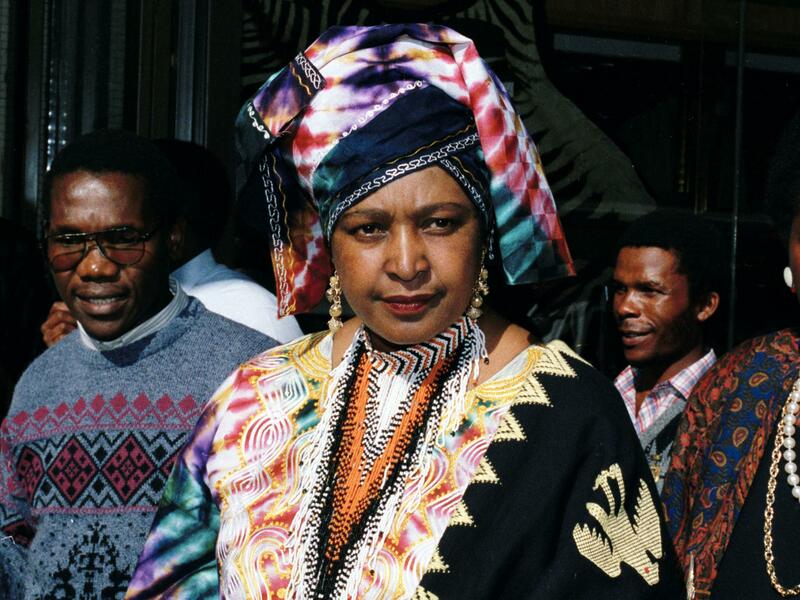 She was at the forefront of apartheid struggle as any other political icon. The idea that the party ostracised her because of the painful events with which she was associated during the 1980s seems silly in the face of the shenanigans ANC members are - with alarming regularity – accused of. It begs the question then that what is it that makes the ANC reluctant to honour mam Winnie in a more fitting way? The city of Johannesburg’s decision to honour mam Winnie, a year after her passing has once again elicited nationwide dialogue. How should our struggle icons be honoured? What is the history of women in South African politics? These are some of the questions we continue to ask in our continued interrogation of history and how it affects our lives today.